The GJD HYL004 Autodialer uses your standard PSTN telephone line to call up to nine pre-programmed telephone numbers to give notice of an intruder. If an intrusion is detected, the PSTN Autodialer will automatically send a call to any of the pre-programmed telephone numbers, providing a quick reliable warning and guarantee total peace of mind. The Autodialer Voice Module will connect to any Burglar Alarm Panel or can be used as a stand-alone device, connected to a triggered relay output. Nine Programmable Thirty Two digit phone numbers for each trigger. Ten second duration recordable message for each trigger. Built in memory for telephone numbers and programmed settings. 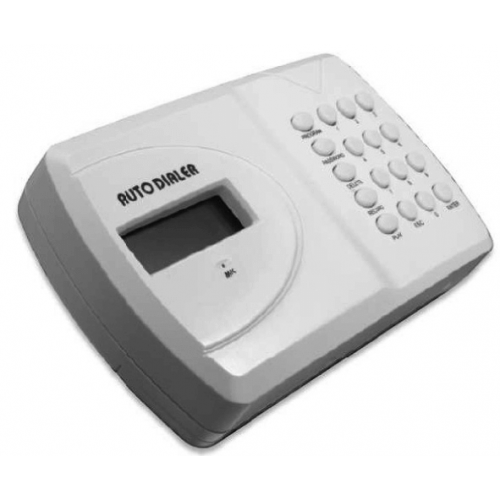 Speech Dialler is easy to configure from the onboard keypad.